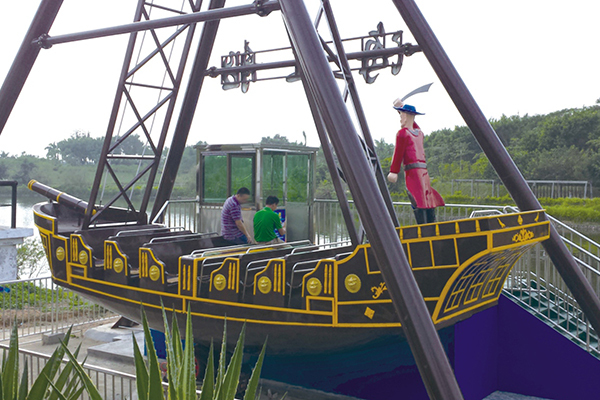 Pirate ship ride is very popular in amusement parks and it is really an attraction! It Swings to and fro by a large margin. When start the equipment, firstly move slow and then swing fast. As the pirate ship swing to and fro, passengers fell like swaying on the stormy sea. It is thrilling and exciting.